February 2012 – Teach. Brian. Teach. How does the eye keep from the image from getting blurry when the pupil dilates really large? 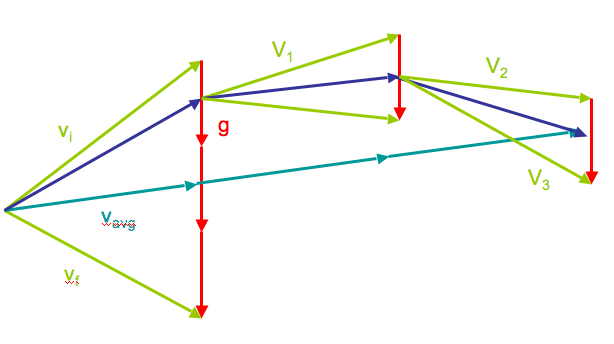 If a lens makes images upside down, then it must make light rays cross, but where does that crossing happen? What roles does lens play in the eye? Is it to magnify the image, to flip the image right-side up, or to focus the image? Does a lens work more-or-less like a pinhole, or is it different? What would happen if we put a lens in the box theater? Would it flip the image again? Why does the eye need a lens when a hole all by itself is capable of making an image? Is it the amount of curve in the lens or the thickness of the lens that determines its effect? Is the lens in our eye more like the really curved lenses or the more flattened out lenses? I can accept that a lens can focus the image behind a hole, but how can it make an image with no hole? Does the lens making an image upside work the same way the curved mirror does? What happens in the eye when things look blurry? There is no optic nerve or brain with the box. There is no lens with the box. There is no cornea with the box. My first thought focuses more on the idea that the lens make the image upside down, which to our class implies that light must be crossing somewhere. Our working theory right now is that inverted images are caused from rays crossing at a point. We have seen this to be the case with both pinholes and concave mirrors. To make progress in this direction, we’ll have to put some effort into shopping for ideas about what light could be doing when it enters the lens to provide for such a crossing point. With that, I imagine we could also try to pinpoint where that crossing might be happening, and explore what happens in regions in front of, at, and behind the crossing point. The second route I see focuses more on how the lens seems to capable of unblurring a blurry image (at least with the right distances), which implies that the lens is somehow un-overlapping those overlapping landing areas. Our working theory is that blurry images are caused from rays of light (originating from different sources) overlap on a surface, due to large landing areas. With this approach, we’d have to shop for ideas about what light could be doing when it enters the lens to “unblur” the image on the screen. We could try to explore the conditions under which lenses will or won’t cause the “landing areas” to overlap. What I like about these two approaches is that they build on theories we have already developed: “Inverted images are caused by crossing” and “Blurriness is caused by overlapping”… students are already thinking about these connections and asking these questions, so it seems authentic and productive to pursue these directions. I also hope that these two lines of inquiry would converge, I suppose I mean that in more ways that one. I’m also struggling with how much guidance and structure to give students right now. I’m also struggling with another brewing line of inquiry in class into how corrective lens work and what that has to do with needing corrective lens. Is this a separate line of inquiry or does it clearly support the others? Does this inquiry need to become after the two above have born fruit, or can all three co-occur? I really like how “real-life” and personal this line of inquiry is, and how students can experiment with their own glasses. Less need for special equipment. Do I need to sequence and order these inquiries, or can I let students go off along these lines more freely? Can I possibly support all these lines of inquiry, and pull of their integration when that time comes? Does that integration need to occur? If so, how much? Last week, when I announced we’d be dissecting cow eye’s, there was one student who thought that they might not be able to stomach it. Yesterday that student asked if they could dissect a second cow eye. After class today, five of us sat around discussing near- and far-sightedness, negative and positive corrective glasses, and astigmatisms. Students decided they should bring their glasses to class on Wednesday (many of them usually wear contacts), and to bring the boxes their contacts come in. Yesterday, there was ice on my windshield, but by the time I got to the slaughterhouse, there were hundreds of water droplets on the windshield, each showing an upside-down image of fields and sky around the slaughterhouse. I know this happens, but how often do I go through the day not noticing these things? Last week, a student told me that they realized that many of their ideas have not been right, and that, in fact, many of their ideas that they thought were so right, must now be wrong. Students in inquiry often think its “cheating” to go look online for information, or they think I want them to completely disregard information they look up. I don’t think they need to go look up information, but I’m happy if they do. Really, I just want them to treat ideas they read online no differently than they do ideas they hear from class. Those ideas are subject to our scrutiny, to our questioning; and we should concern ourselves with whether those ideas help us to build an explanation, or whether those ideas are merely providing scientific jargon. As soon as I saw it disappearing from the bottom I thought, “Why didn’t I draw the light rays in my initial sketch?” In fact, I wrote that in my journal, if I would have drawn the light rays, how I have been drawing them, with the “cross action”, I would have made a more accurate prediction. Because I didn’t draw the rays as we discussed in class, I went back to basic thinking–like shining a flashlight on a wall and covering it with my hand. I didn’t really take into account the path the light takes when it passes through a small opening. This article from Time Magazine has me thinking about this post again. Our minds are filled with folk science–and it gets in the way of real learning. Traditional teaching methods don’t do much to uproot folk beliefs. We are a little over a month into the semester. Here are some thoughts about how things are going. One goal I set for myself in my physics class was to put more care and time into teaching procedures that students need to solve physics problems. In many respects, I feel like I’ve accomplished this, especially with respect to making sure students have opportunity and practice to learn how to find vector components. This second unit is so heavy on vectors with it being about projectile motion and forces. I still need to work on helping students to translate free-body diagrams into algebra. Students really struggle with this, and I need to think more carefully about how to sequence their contact with that. For the most part, students are OK finding components and summing them if they are all numbers, but once it’s algebra, it’s a real mess for many students. So far in physics class, it seems that I wrote much better standards and assessment quizzes for kinematics than I did for forces, and this I think has had a big impact on class. I think I made the quizzes too hard with forces, but they also were not quite the right things that students needed to focus on. At the end of this semester, I’m going to have to go back and rethink through the standards and re-draft the initial assessments. I really struggle in my physics class to see value in the labs we do. They are not “cook-book” in the sense of students being given step-by-step procedures, but the labs seems to have no purpose. We just seem to measure things, graph them, put lines through it, and use the slope to tell us something we already knew. I need to find some value in them, even if its not what the author of the labs intended; because right now, I feel like it’s a huge downer in class. If I can’t see value in them, students certainly won’t. I’m a little behind in grading and feedback this semester in a way that I wasn’t last semester. This is partially because of the standards-based assessment experiment, but it’s also because I’m teaching slightly more than last semester. I need to not let the assessment tornado of SBG take away from the timeliness of my more narrative feedback to students in my other classes. Although, I am (in general) better organized this semester than in the fall, I need a better system to stay on top of this. We are dissecting cow eyes on Monday. I’m excited and nervous. I get to practice dissecting on Thursday. In class, we discussed several examples of students’ light ray diagrams from the homework. I just displayed using the document camera, and we discussed questions like: What does the diagram seem to be showing in general? Which of our rules are they showing well? Which of our rules are they not showing well? What’s clear? What’s unclear? Why? What questions could a reasonable person ask about this diagram? –> This went a long way toward helping to establish the need for rigor and showing different examples of how one might go about doing this. Students also didn’t seem uncomfortable at all having their work up for discussion. I never said who the diagram was from, but most students spoke up that it was them. After discussing the examples, I gave students some new situations to diagram. I had them diagram by themselves in consultation with their group, because in this class students don’t get enough individual practice. These diagrams were really great improvement from the homework, and careful diagramming led us easily to have an explanation for why a large hole makes a blurry image. Our idea is that the big hole lets in more rays at various angles, which both “cross at more location”, and cause a bigger “landing area on the back of the screen”, which makes the rays from different points overlap. We spent the rest of the class investigating lenses, mostly free explore, but I gave them some guidelines for things they should try. This was pretty exciting for many of the group. I love how thoughtful students are about their investigations and questions. They spontaneously try so many things without prompting… like stacking lenses to see what effect that has.. or going back to measure distances, because they are wondering if distance to make it focus when you look through is the same or different than went you cast an image on screen, or realizing that if the lens makes things upside down, then is must somehow make rays cross… and wondering exactly where that is happening, and how… or struggling with how the lens could be so different and yet so similar to a pinhole. We are in a good place; and I’m proud of them. Frank was asking about projectile motion without components. Here is a ball is shot into the air with initial velocity vi, accelerating for 3 seconds. Yesterday, I tried to kill inquiry class. Thankfully, I tried to kill it just before our 20 minute break, and it gave me some time to think through what just happened and where we should go next. The first thing I did to try to kill inquiry class was to have too many groups share their whiteboards out to the class when we didn’t need to. See, they had spent time last week predicting and observing what happens when a long bulb shines through a filament bulb; then for homework they had spent time explaining and reconciling their predictions; then we started class by having small groups share their homeworks with each other and try to construct a consensus explanation. … By the end of all that, me having each group then share out to class was just too much time spent on the same thing. We were bored, and too many of drawing were similar. I easily could have had one or two groups share out, and be done. Was long bulb through the triangle hole showing a stretched out triangle, or a stack of triangles, or a triangular prism? Was the light from each part of the bulb going out in one direction or many directions? So to top it off, after they were done sharing, I spent another five minutes talking about it. When I saw talking about it, I should say I was talking to them about it. See, I was planning and hoping to shift our investigation from how light shines through holes to how does light bounce of surfaces. That was my agenda: I wanted to get us to a place where we would start to see objects (like a tree) much in the same way we see the long filament bulb. To do that, I thought we needed to pin down how the long filament bulb worked and then investigate how light bounces off materials. One group had already proposed the need for two different kinds of bounces, and I thought we could follow up on that. I foreshadowed this direction just before break, and class felt like it had been run over like a truck. So during break, I thought about what might be a better direction to go, one based on students’ interests and ideas over the past few weeks, rather than my own agenda about what to do. I thought about how students had brought up the inverted spoon image, and I thought about how any other group had proposed that the box works like an eye, and another group had decided that the box might even work similar to a camera. Just that morning, I had had a conversation with a pair of students about the eye. One student had printed out some information about the eye over the weekend, and we were discussing the parts of the eye. As we talked, we got interested in the fact that our box theater doesn’t have a lens, and that it would be interesting to find out why the eye needed a lens, especially since our boxes work without a lens. So when break was over, I told students how I was changing the plan. I told them how I thought we had a pretty awesome explanation for pinhole theatre, and how that investigation had led us to some rules about light that we should test out with other things we are interested in. I told them that I thought each group should decide what they would like to investigate next. I reminded them of our interest in spoons, and how eyes work, and how cameras works. I also gave them the option of exploring how light bounces off different materials. 2 groups decided to investigate some lenses I had pulled. 3 groups decided to look up anatomical information about the eye on the internet. And one group decided to investigate with curved mirrors. The group with the mirrors played around with the mirrors for a while, and based on their ideas, I decided to give them a laser pointer, for them to see how light bounces off the mirrors. They found that the some mirrors cause rays to cross, and others cause the rays to go out. For one mirror (which was a thin strip of curved mirror), they mapped out exactly where the lines cross by tracing over where the laser pointer glanced across a piece of paper. They did it both for a concave and convex, and showed how the light bends in for one and out for the other. They also had a really exciting discovery: See our thin curved strips of mirror are reflective on both sides… and I don’t know what led them to think to try this, but they found that if you shine one laser into the concave side and one laser into the convex side at the same point, the laser bounces off in just the right way so that the two lasers lines form a single line. Pretty cool. The group playing with the lenses discovered that lenses do different things at different distances. They can make things bigger, they make things blurry, or they can make things upside down. This led us to wonder about the eye: is the lens in the eye making things bigger, blurry, or upside down. Some of the groups, are excited that the lens might flip the image again after the hole has flipped it, so that the image formed on the retina isn’t upside down. Other seem certain that the image is really upside down on the retina. The group who looked up stuff on the internet helped us to map out the analogy between the eye and the box. We now thinking that the hole is the pupil; the paper in the box is the retina; the aluminum foil is like the iris. We’ve decided the box doesn’t have a cornea or a lens, and so we should figure out what that stuff does. This seemed to, for the most part, get us back on track. And, got us thinking about how light does different with different materials anyway, which was kind of the whole thing I wanted to do anyway. Sure, right now, no one is investigating the issue of two different kinds of bounces, but that’s OK. That’s not what we needed. What we needed was a sense of purpose.